Do you plan to buy an Android smartphone and an Android smartwatch? How about getting both for just the price of the former? You can do that if you're in the US and you want the two devices to be made by Motorola. More exactly, if you're purchasing a Moto X Pure Edition 64 GB (which costs $499.99 unlocked), Motorola is offering you a Moto 360 smartwatch for free - unfortunately, it's the 2014 edition of the watch, not the Moto 360 (2015). Anyway, that's still a $199.99 product that's offered for $0. To benefit from the deal, you have to visit Motorola's official website, and add both the smartphone and the Moto 360 (2014) smartwatch to your shopping cart. The offer ends on February 18, 10:59 a.m. CT, so you may want to hurry if you're intending to take advantage of it. Available in the US since September, the Motorola Moto X Pure Edition ran Android 5.1 Lollipop at launch, but, since then, it's been updated to Android 6.0 Marshmallow. Compared to the previous Moto X model (from 2014), the Moto X Pure Edition is quite large, as it sports a 5.7-inch Quad HD display. For a closer look at the handset, check out our Motorola Moto X Pure review. 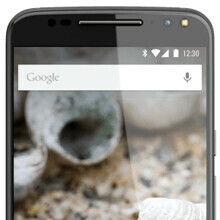 Instead of offering a crappy smartwatch for free, why not offer a DEAL on the 64GB Moto X instead? What's the Cpu on this? S810 or S808? Why what's wrong with the watch? There is absolutely nothing wrong with that watch. As a matter of fact it just recently received the Marshmallow update. Why do you care? You already own the Moto X Pure. Do you like it so much you plan to buy a second one? Get over it. It's my opinion. It's the crappy, outdated 808. Move on to a better device. Still works perfectly for me, then again I don't solely judge a phone's performance based on the number the chipset is. Crappy? Even as a IPhone 6s Plus owner that phone and processor is far from crappy. The brightest Quad display, almost pure stock Android, awesome stereo speakers. It's a great phone. is this phone even worth to buy now? or should we just wait for the new HTC phone to be announced? If you have 1.5 x more cash to spend then its it's worth waiting. HTC phones are not cheap at all. You are right but the 100 to 200 bucks difference is not much, thats the reason I asked since you are picking the 64GB model, my worries is the moto x performance, I'm just concern with lag and battery life issues.